Suprunenko, Konstantynivskyy and Shufrych are suspected of gross tax evasions. Ukraine's Prosecutor-General Yuriy Lutsenko will ask the Verkhovna Rada to strip the parliamentary immunity from persecution from three deputies, who are suspected of tax evasion. 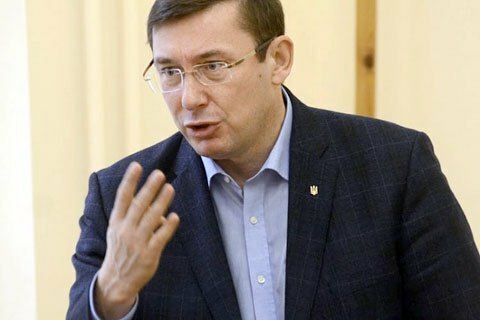 Speaking on 112-Ukraine TV channel on 15 February, Lutsenko said an unscheduled inspection by the State Fiscal Service has discovered major tax evasion by some people's deputies. "I will ask the Verkhovna Rada to allow persecution of these deputies," he said. Later in the day, Lutsenko named the names of the suspected tax-dodgers as he spoke at a press conference. They were Oleksandr Suprunenko and Vyacheslav Konstantynivskyy, both non-allied, and Nestor Shufrych of the Oppobloc. "People's deputies Suprunenko, Konstantynivskyy and Shufrych are suspected of tax evasion in the amount of 60, 50 and 40 million hryvnya, respectively," the prosecutor said. He said the lawmakers will either have to pay the taxes or go to court when the parliament removes immunity from them. Yuriy Lutsenko earlier has stated that all MPs who have declared the assets in excess of 100 thousand dollars in cash will face tax checkups.